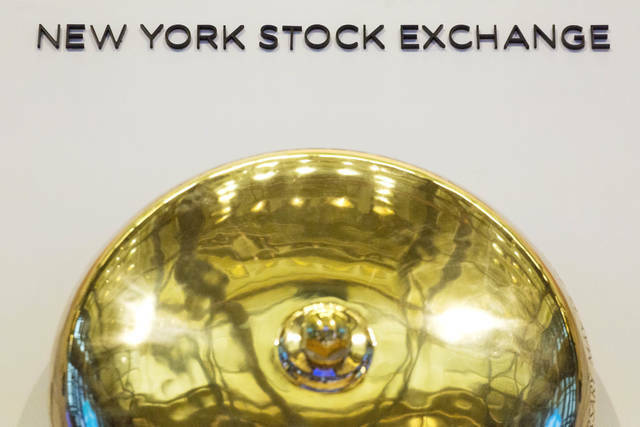 NEW YORK (AP) — A slide in technology companies helped pull U.S. stocks lower Monday, snapping a five-day winning streak for the market. The sell-off came amid speculation that the Trump administration was preparing to impose tariffs on another $200 billion worth of Chinese goods. The two governments have already imposed 25 percent tariffs on $50 billion of each other’s goods, and another round of tariffs would represent a significant escalation in the trade dispute between the world’s two largest economies. Investors used the prospect of a deeper U.S.-China trade conflict to take some profits, especially in technology stocks, the market’s biggest gainers this year. Department stores and other consumer-focused companies also accounted for a big slice of the losses. Safe-play sectors like real estate and utilities rose. Oil prices fell, erasing early gains. The U.S. has been locked in an escalating trade dispute with China, it’s biggest trading partner. Washington contends that Beijing uses predatory tactics to acquire technology know-how in an effort to overtake America’s global supremacy in technology. Over the last few weeks it looked like the two countries were about to resume talks. This weekend, news reports indicated that the White House was set to announce tariffs on $200 billion more in Chinese imports as soon as Monday. A new round of tariffs had been anticipated for some time, but the market had yet to react to that possibility before Monday, Kinahan said. Beijing has said it would swiftly retaliate against additional U.S. tariffs. Technology companies seem especially vulnerable to retaliation from the Chinese government, which could include tariffs on components as well as restricting access to websites and services, Kinahan said. Still, any new tariffs won’t completely close off the possibility of talks between the two sides, Kinahan noted. Technology companies led the market’s slide. Apple lost 2.7 percent to $217.88, while Netflix slumped 3.9 percent to $350.35. Twitter fell 4.2 percent to $28.86 after an analyst cut the price target on the social media company. Several big department store chains declined. Macy’s slid 3.1 percent to $35.16. Kohl’s lost 2 percent to $79.26. Gap gave up 2.6 percent to $27.05. Teva Pharmaceutical climbed 2.5 percent to $23.43 after the Food and Drug Administration approved the drugmaker’s preventative migraine treatment. Major stock indexes in Europe finished mostly lower. The DAX in Germany dropped 0.2 percent, while France’s CAC 40 lost 0.1 percent. Britain’s FTSE 100 ended flat. In Asia, South Korea’s Kospi fell 0.7 percent and Hong Kong’s Hang Seng index tumbled 1.3 percent. Australia’s S&P/ASX 200 rose 0.3 percent. Japanese markets were closed for a national holiday.